Are you a teacher looking for some 6th grade spelling bee words to use in your next classroom competition? 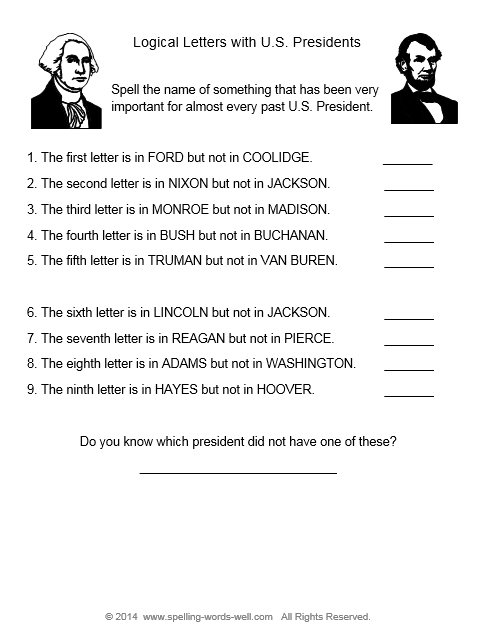 Or perhaps you're a parent or student trying to "study ahead" on some typical sixth grade spelling words. Either way, this list should help! We also have spelling bee lists for lots of other grades, too. 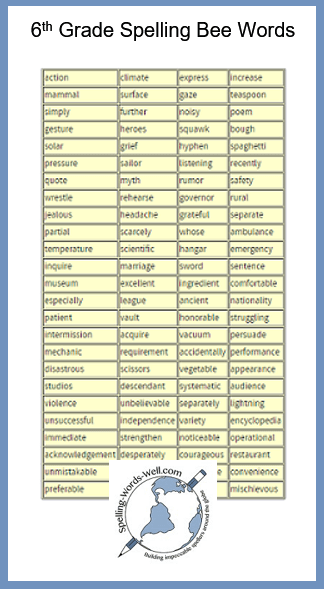 Most words here come from our list of 300 sixth grade spelling words. A few at the beginning are from our fifth grade list. But beware! Many words at the end of the list are more difficult than our typical sixth grade words. (These words come from lists of frequently misspelled words or from adding prefixes and suffixes to other tricky words.) Words are generally arranged from easiest to most difficult. You may wish to adjust our list for your specific group of students. Feel free to use additional easier words, or insert some more difficult ones. Be sure to use spelling bee words in sentences when quizzing students. For instance, pause, should be clarified so it won't be confused with paws: The officials decided to pause the game while they reviewed the last play. 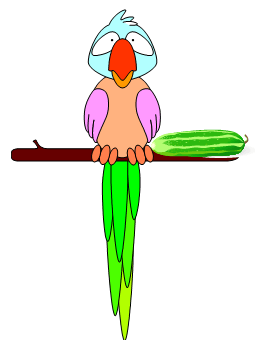 Need more words with sentences, rules, award certificates, and lots of organizational tips? 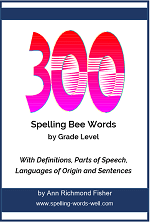 Please consider purchasing our exclusive Spelling Bee Toolbox, for grades 3-5 and grades 6-8. 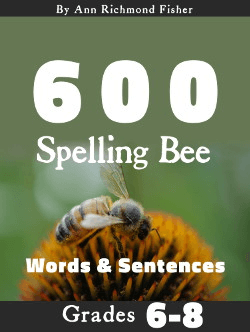 Each one contains 600 grade-appropriate bee words, used in sentences, and all the resources you need for a successful spelling bee! Learn more. Or use our Colossal Spelling Bee Word Lists, if you're holding a competition in which you require definitions, parts of speech and sentences. In each eBook, you'll find 600 all-new words! Reward your spelling bee winners or your hard-working spellers anytime with our own Spelling Words Well mugs!